Surprise pricing. And they lobby to keep the tax code complex. This is the most morally bankrupt company on the planet. Done taxes through TurboTax for the last several years, no fees or minimal. Not to forcing a “Premium” service I didn’t sign up for and doesn’t do anything for me. Which ends up costing 120 dollars, then to go back through the filing to see where I fixed up the premium service to say now it cost 209 dollars to file (both Federal and State). I’d absolutely advise against this service at this point. There are other alternatives, both mobile and it’s sad that it cost less to meet someone in person at this point. Fast and easy... and free! NOT FREE. Not even close. Extreme Pay Walls and straight up scums.! But good U.I. The only reason we have to file taxes is because turbo tax lobbied to stop the IRS doing it for us. It’s so easy! I thought that doing my taxes would be hard, but not with this app. 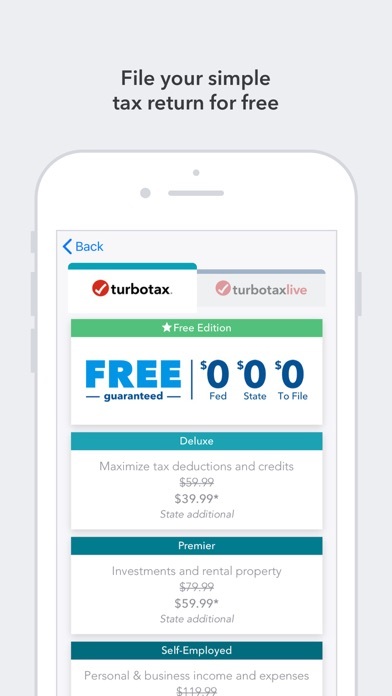 SO WHY IS TURBOTAX USING FALSE ADVERTISING PRACTICES WITH IT’S FREE VERSION?! IT FIGURED MY FED & STATE AND THEN GAVE ME A BS UP SALE OF $59.98 TO COMPLETE & FILE? G’BYE! 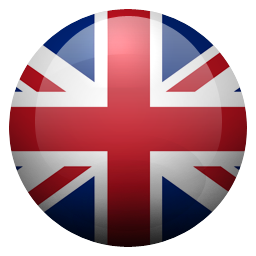 I like it, it improved for year to year and one of the best apps to fill a tax. Not free, no 100% guarantee refund. Steer clear. It’s a fraud. I couldn’t finish filing through them and will have to pay to go elsewhere but now they still get to pull money from my taxes for attempting to use their app. Yay. I tried twice to pay via Apple Pay. 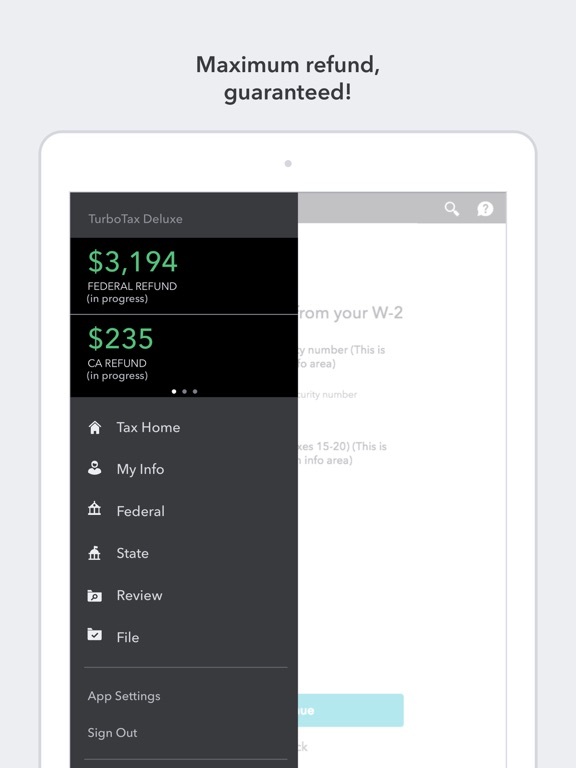 Both times it showed success on Apple Pay but TurboTax showed as an error. I tried to contact support via the app. Call times were high so asked me to setup a callback. But instead of a callback I got an email that my case was closed. I still have 2 bogus charges on my card that need reversed. I will probably have to get my credit card company involved to reverse the charges. I probably will not use TurboTax after this. I’m confused. I am not eligible to eFile my federal return but my state return says “eFile.” But the app just keeps taking me back to the federal return. It won’t file it and it won’t let me print them, either. I’m going in circles. Don’t waste your time or money on this. I only used this app because it is “free free free free free”. Turns out if you want to be able to deduct anything, or have them actually file your taxes you are going to need to fork up at least $100. I saved more time and money last year using a professional accountant. This app is the definition of a bait and switch. 🤦🏻‍♀️ I previously left a review staying that I was upset that I had to pay so much for the software I got. I then got an email reminding me that I got a software item for free. I take it back! I didn’t even realize!! So fast so simple. Thank you. I've used this app for three years now and was happy. This year the app experience was *awful*, completely untrustworthy. Telling me to click buttons that did not exist. No indication of how to proceed (swiping, it turns out). Looping back inexplicably to already filled out pages. Asking for numbers that I didn't know because it was about to calculate for me. Logged me out the first time I tried to submit. *CRASHED WHEN I SUBMITTED AGAIN*. I will absolutely *not* be using this app next year. And what's with the CAPTCHA?? I'm signed in to the app on my iPad! I’ve been using turbo tax for many years as I work overseas as a teacher and am exempt from paying taxes. This year they try to force me to pay 60 usd!!!! For the same free service just doesn’t make sense. Key buttons don’t work and there should be a back arrow on each page. This year’s version is horrible!! Yah, I agree. Turbo last year was great. My file is not different from last year but this year seems harder to be done. They charge me $124.98 before tell me that my files need to be correct. It use to be when everything ready to be efile then they ask payment or they don’t charge you. Now it take payment with no help. Now I am stuck on my State only. Before it give you choice on both to file individually. Now I did not see that choice is available. At least, I should be able to file my federal and work on my State later. Gosh! So frustrated. Help! Please also fix your answering machine. She don’t get or find anything you tell her. Simply put words cannot describe how unhappy I am with this year’s version. This is my 6th year using turbo tax and each year it’s something else that goes wrong. This year, I’ve done my taxes and when you go to pay, it charges your card but tells you that there is an error processing your payment. Ugh!!!!!!! DO NOT USE UNLESS YOU WANT TO EVENTUALLY PAY. The service for turbo tax is absolutely terrible. They file your taxes, but do not let you receive a copy of your taxes after you’ve filed forcing you to spend 50$ to access them. Horrible customer service, no help whatsoever. I recommend filing through Credit Karma, they’re actually free. I filled out every single piece of paperwork and was completely ready to file what was supposed to be 100% free state and federal taxes. I get to the very end, and suddenly it’s a fee to file state taxes, and then it turns out I’m somehow using the premium version and it’s going to cost hundreds of dollars to file...unless I delete everything and start from scratch. What? Rip off. We do the work and you want to charge me $119? Dirty scam, fraudulent tax service. Use another. Quoted price for return was $39.99. This was the last price I saw before checkout. After checkout it was actually $244.98. Never saw this price before they had the payment. They cleaned out my checking account without being upfront about prices and now I have no money for groceries, let alone to pay the taxes I still owe to the government. Still on hold waiting for customer service to pick up, 40 minutes so far. They keep saying my call is important to them, but it sure doesn’t seem to be. When you start doing your taxes, they give you 3 options for pricing then once you’ve put in all the time into inputting all the tax info if says you can only choose the $60 option and then state is $45 that was not mentioned before you spent all the time completing your taxes. My tax situation is probably the simplest possible and to say I can only complete with the “deluxe” edition is ridiculous. Advertisement is misleading. 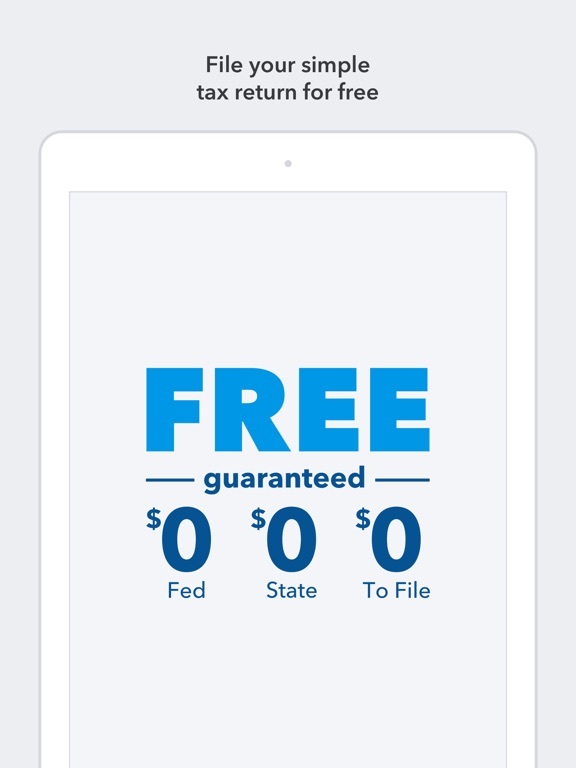 They say it is free, but app immediately displays the Deluxe version saying it is the only way to do your taxes with all the “new forms” needed by the state. That in itself put me at $49.99 and then after filing Federal I was lead to State taxes (which again is advertised as free)but after filing, it stated that the only way to file through TurboTax I would have to pay $39.99. Now, I worked in a different state than where I lived, so I had to give up that amount x2, just to find out one of the states I need to file via mail but of course they still took my money. ON TOP OF THAT it lead me to the option to have the amount taken out of my refund which is all fine BUT little did I know this tacked on another $40 that I found out at the end of everything. When I tried to go back, it would not let me edit/change this option, so there I was just about $160 later with no opportunity to change any options and no final confirmation. Definitely filing differently next year. App kept demanding me to upgrade to deluxe even though I knew it wouldn’t beneficial to me. So I stopped and made an appointment to get my taxes done professionally. Also I tried to print out my taxes from last year and it was wanted to change me even though I used turbo tax last year. I have been trying RELENTLESSLY to file my returns. Not ONLY was I surprised with the price NOT being free, I’m surprised that the app continuously asks if I need “tax assistance” or “max benefits” when I have already made it apparent NO! I DO NOT want to give you guys ANY money from my return until I can get this fixed FOR FREE! I have followed the steps from the rejection, and made sure ALLLLL my info is right, and I STILL get rejected! THIS NEEDS TO BE FIXED NOW!! EXTREMELY displeased with these services, and will NEVER use again. I recommend paper filing so you don’t waste your time!!! DO NOT DOWNLOAD, A Simple Glitch Cannot be Fixed Until May?! I initially thought this app was a dream and encouraged friends and colleagues to use it. Well I take it all back, I am unable to electronically file my taxes all due to a glitch! I am unable to delete a single form on the site and after three days of four calls all over two hours long I’ve been told that software support will not be able to assist me until mid-May! Then they attempted to upsell me saying I should download the full version on my computer which “may resolve” the issue. But even that isn’t guaranteed. I have already paid for the DELUXE version of this app and I am unable to file my taxes! I am beyond furious and confused how I’d need to wait till May to be able to delete a single form. Do not bother to even try to get an estimate using that app, it’s inconsistent and might add an extra 10-15 hours to your filing process just to find out you cannot file at all. This app deserves less than a single star. So I did the free option because of the reviews and didn’t want to lose money, filed my taxes and had to edit them because turbo tax didn’t upload any of my tax forms the first time. Now when I go to see how much/when/how I’m getting my return- it tells me the $amount I should receive, but also says I (will) be receiving 0$. Using the limited free support to look up my info resulted in the ivr stating my zip code and phone number aren’t in their system. Bad form Turbo Tax. Having to pay for a 1099 is a rip off. Crazy that it’s a thing. They lobbied to ban free tax filing with the government. Don’t support these nazis. So, this use to be the ONLY tax app I would use. I loved the simple interface and the ease of the app. For the last 4 years it’s been free.. this year however.. they wanted to charge me $60.00 for a form that was free all 4 years prior!! I have a simple tax return the only extra was my subsidy I get for my healthcare through the marketplace.. which WAS free!! So I went with another app that was 100% free! Too bad! Instantly crashed . White screen of death. Why would anyone trust these guys? Going in it said everything was free. Doesn’t tell you till you’re finished with your taxes that you have to pay because there’s one extra thing to file. Went from free to almost 200 bucks. What a joke. Will never ever use turbo tax again. I never review apps. I was very skeptical and hesitant but I own 2 businesses in two states and it’s very complicated. I also procrastinated. 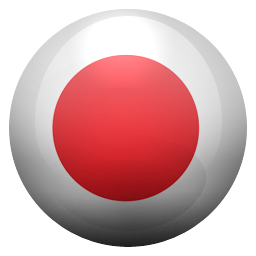 I went today and went through the whole process and this app is LEGIT. I will say that it is a tiny bit buggy and does crash a bit but it saves you where you left off when you reopen! THANK YOU TURBO TAX!!! Trying to get answers to the prices by using the SmartLook feature they have for the first time. Terrible service. The first time I called the person hung up right away. Second time I got a guy named David, and he only asked for my email and number then hung up at random. I got an email saying that my case number has been closed. TurboTax was acting like my issue was resolved. But it never was. It’s like I only explained the problem to David and he just listened and did nothing. Pretty unprofessional if you ask me. I’ve never experienced this type of Customer Service in a long time. I got hung up on in less than 2 minutes within two calls from the SmartLook feature on TurboTax. A feature that they advertise on TV as a helpful tool. That’s scary if you ask me. Because this thing doesn’t work. TurboTax you should be ashamed of yourself as a company. If this is how your service is I’m doubting you’ll even be bothered to see my honest survey that you had no problem sending me very quickly. But since I see you responding to people on the review app feel free to keep reading because here’s my survey: You didn’t answer my question, the person didn’t have his face shown, he didn’t help me at all or reach out to me after the fact (even though I gave him my number), and no I would not recommend this to my family, friends, employees, heck my worst nightmare. The last two years I had to have my taxes prepared elsewhere, but for more than a decade before that, I used TurboTax and was always really happy at the ease, convenience, and minimal cost, so I didn’t think twice about returning this year! TurboTax used to cost $0 to maybe $40 a couple of years ago. Now the service they advertise in this app as “free” cost me $125 total (although they have not presented me with a receipt or a way to verify this as of yet, so who know what it will be down the line!). The worst part is they weren’t open about the charges along the way or remind you of your costs or what certain tools you have to purchase, so if you work on and return to your return, good luck remembering why you’re being charged for anything! They also don’t openly present alternative cheaper methods, they present the option like you don’t have a choice while still advertising FREE (I did not want, need, or choose PREMIUM SERVICES but somehow ended up paying $40 for it), they don’t let you change your mind or adjust your “order”, and I still don’t have a receipt to verify anything, nor is the information present in the app to verify. Proceed with extreme caution. EXTREMELY disappointed with the cost of TurboTax this year and will think twice about using them in the future. It said it was free but I saw it charged me 40$ for federal lol But I don’t care cause it’s free money feel lucky at least the government even give u taxes return. cheap foools and I payed 20$ for a better version so that’s 60$ but i don’t care it seems fine to me rather then just go to a person and be charged 125$ or more plus who knows if they get charged the 40$ from the federal for filling it too from our taxes and apart from that still charge 125$... 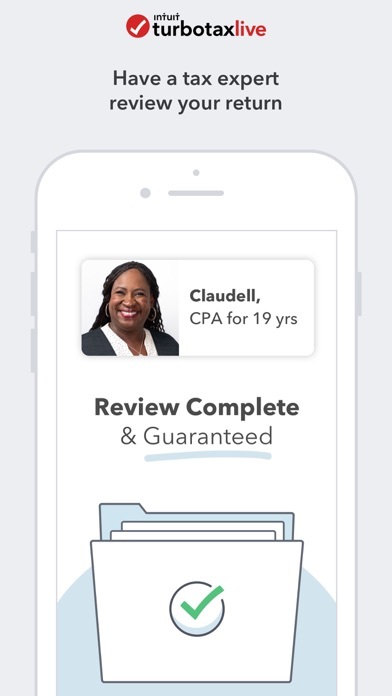 I filled my taxes with this app and everything seems good they accepted my taxes now I’m just waiting on it to arrive to my checking account 😁 I’ll give it a 5 star when it arrives I’m getting 1300$ who cares if I have to pay 20$ for an upgrade of the app I don’t have to but I did and 40$ for federal I would just consider it as appreciation for making such a easy app to use and so good. I’m a part time worker a student and I feel like I’m getting so much taxes like who cares if they take 40$ out of 1300$ like bruh why y’all so cheap so many people giving bad review just for 40$ that the federal charges. The rest is up to you if u would like to upgrade to better version and pay more. Filed my taxes for 2017 and it went great. No issues, good customer service. Filed for 2018 and it erroneously told me I owed $1591 to NYS and only got $945 for my federal refund. I made $40,000, claimed zero, I’m 21 and single. Spent an entire hour with one of your customer service representatives in “smartlook,” while she tried to guide me through the app to explain why I owed. I told her I’ve looked through the app and it doesn’t give an explanation. After 45 minutes I asked for a supervisor, or a manager. She said she could only type to her “team leader.” She then proceeded to google “why would someone owe money to NYS,” and read various generic possibilities from a forum on GOOGLE. I spent 50 minutes to get an “expert opinion” from someone sitting in there house with zero information, zero training, and zero ability to admit their inability to answer my question. This service is a joke. Then when I tried to get advice from a “tax advisor,” you guys asked for $120. This is not how you run a business. First I wait for 20 minutes to speak to someone who might as well be my neighbor who delivers pizzas. I want a discount or some type of service. You guys wasted an hour of my life that I could’ve spent making money. You obviously don’t stand behind your customers. I’ve used turbo tax for years and didn’t have issues. Always used their free version. This year I had to file for 2 states. One of their questions was confusing and I had to call and ask. To ask a question, they have you upgrade your version. It said it was about $40 to upgrade. I wasn’t super pleased having to pay $40 for a question, but figured I’ve had my taxes done for free for a few years now so not a huge deal. The person I was talking to didn’t know the answer and had to look it up, and then gave me the wrong answer. Then, when I finished my taxes, I saw the price is not just $40 altogether - the price is $40 for federal, and $40 for each state. That turns what was represented as just $40 to $120! And I can’t file without paying it. $120 to ask a question? That wasn’t even answered correctly?? And now that I’ve waited to file, the price went up. I got an email that I can get 25% off, but when I go to the app I can’t use it. Now I noticed in the fine print, some discounts you can’t use in the mobile app. I don’t even have a computer. Honestly this is very disappointing. I’ve recommended TurboTax to many people and now I don’t even think I’ll use this anymore. Pretty ridiculous. I originally used TurboTax in 2015. It followed by the IRS saying my information was obtained and steps to follow. From talking with other individuals and research, it sounded like this happened to TurboTax users. I switched to a different company, TaxAct, to complete my 2016 taxes. 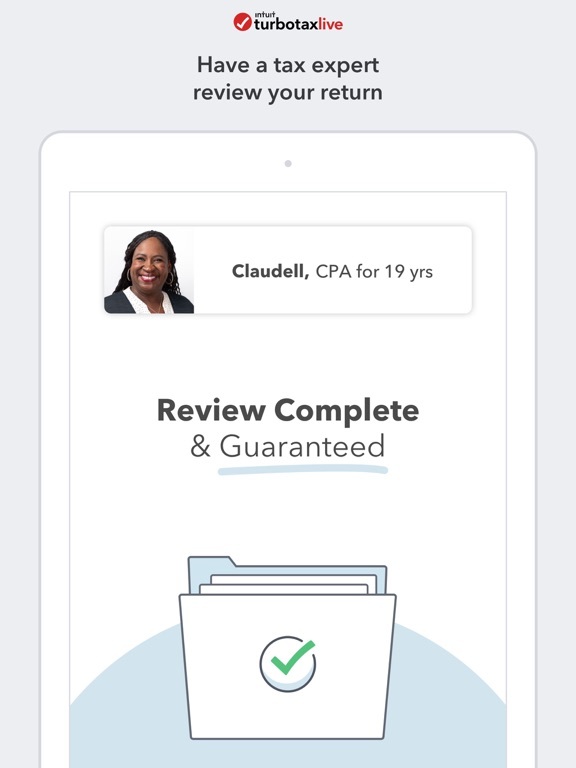 I returned to TurboTax in 2017 as it sounded like more security was in place and they had the flexibility of mobile filing. For someone who doesn’t have a working computer, this was a great option! Unfortunately, upon filing, the IRS rejected my information since I did not provide information from the previous year. TurboTax did not highlight this from the get go, but they had to problem requiring me to sign up for several other fees - the site required me to sign up and when I pressed the back button to go back to review my options, it kept refreshing the page until I agreed to the fee to continue. For me, TurboTax is not there for its customers and is not seeing the big picture - making filing taxes easier. I guess at the end of the day when I talked to a representative, my understanding is Fool me once, shame on you. Fool me twice, shame on me. I would suggest looking into another company, since TurboTax is not like it used to be. Had so many bugs not fixed on tax day. I had used it months earlier to get an idea of what my refund would be but when I found out I would owe money I decided to wait until I had the money before filling. On tax day it said I owed $0 and refund was $0. I got all the way to the end and it said I was ineligible to digitally file my Federal and would have to print it off and mail it to the IRS instead!?? Every time you clicked the link to print the federal the app cycled you through the last 2 or 3 pages. I was unable to file AFTER I already paid $107 to TurboTax! I didn’t have time so I started over with the H&R app instead, was easy accurate and not glitchy as heck. I called my bank immediately to try and cancel the payment but was told because I couldn’t go to my bank that same day I’d have to work with TurboTax to get my money back. I’ve been trying to research how to get my money back while I wait till Monday when their call hours are. From what I’ve read you can’t get your money back from TurboTax after it’s already been paid. I’ll be demanding TurboTax repay me the $107 I paid to file. Wish me luck and never use TurboTax; it’s honestly easier to do it by hand. If I could give zero stars, I would! I finished my return and when I went to e-file, and it told me that it could tell that I used a different account to file last year. Which is completely accurate. My ex-husband and I used his account to file during our marriage. It then told me that in order to verify that it was indeed me trying to file my taxes, it prompted me to log out and log into the account that was used to file last year’s taxes, so that they could verify last year’s AGI. I was then forced to contact my ex-husband to get the log in information. I logged into the account the account and then back into my account, but it still said that it had to verify my AGI. Why can’t I just input it myself?!?!? I looked in the helpline, but nothing was even remotely helpful. I then resorted to calling customer service where I was informed I would be automatically upgraded and charged FORTY FREAKING DOLLARS for trying to get help!!! I then changed my filing method to file by mail where it took me to a screen that only had a link to change it back to e-file. I still have not been able to file my taxes...four days later. I have used Turbo Tax since 2003. I have never once had a problem and it helped me with the most complicated tax issues. I have always felt safe, secure and accurate when filing my taxes. Especially needed the help when I became a widow and then disabled. I recommend it for my own children and have also helped many many friends do their taxes via Turbo Tax when they felt they needed help. I also felt more in control of the information I was submitting. Not to mention, the education I received from using Turbo Tax regarding the tax laws and what I am legally allowed to claim when recognizing work, childcare and health expenses. 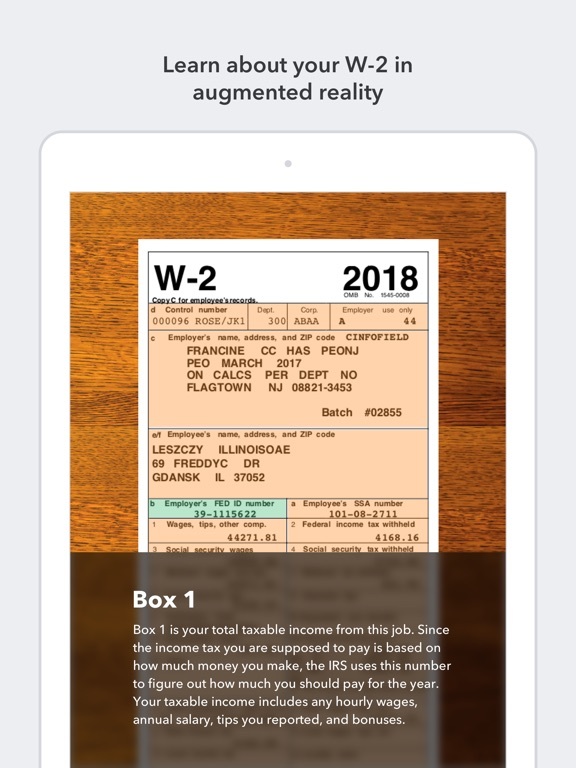 This app automatically downloads your W-2 from the payroll department from your employer if that option is available and your job uses a major payroll provider. I enjoyed the experience learning how to do my taxes on my own. Very simple, fast and extremely accurate. Customer service did not help me whatsoever with my problem. They just want to give you the run around and different numbers to call so it’s not their problem. I have still not received my taxes back and it has now been 13 days since they were accepted and no one can answer why I don’t have them. On top of poor customer support, turbo tax claims to be free for everyone when indeed it's not. It's a scam. They make you work all the way through filing and then tell you you have to pay 60 dollars to actually file. It's ridiculous. They ended up taking 190 out total. Like I don't give enough of my money to the government. Never filing with them again. I should have read all of the poor reviews before filing with them. They should have things posted that if it is a complicated situation that you may need to actually pay. I could have gotteny taxes done at H&R for WAY cheaper. They should be ashed of themselves as a "company" or whatever you would call this joke. I have never written a review for a company before but I could not sit by and watch them take people's money. Complete waist of time and my hard earned cash. I’ve used this app for filing all the time. It works great. They never charge me. Thus time I was not charge but i didn’t understand why all my information wasn’t there like the year before. That didn’t bother me, i have lots of patients seeing that i work in a mental hospital. The thing that bothered me was the camera part. The previous years it worked perfectly fine. It didn’t mix up numbers or anything. But this time apparently the camera couldn’t get numbers right. For example switching a 9 with a 0 or switching a 8 with a 3. Thank God I have patients and I made sure everything was correct. I had to redo numbers because the picture had changed them. I was better off not taking a picture at all. And also I noticed at one point it didn’t put my numbers in a box, I was shocked. But it’s okay, I still got them done. I don’t know what’s going on with Turbo Tax but please fix it because i do recommend Turbo Tax to people. TurboTax was so easy and fast to use. I went the free route wasn’t charged a penny was kinda bummer having to enter in all my info again wish they’d let us do that without having to pay but can’t look a gift horse in the mouth and I did the pic of W2 and it worked great! So can’t complain about having to enter everything in lol I used this program last year and never had a problem simple easy to use and walks ya through the whole process and I’ll use it again next year!! I used H&R Block for years always paying the money for CD and stuff so glad I gave this a try! Didn’t have a problem using it and as long as ya go through each step and pick the program ya want you don’t get charged a penny😃 I recommend this to everyone even first time do it yourselfer’s lol it simple and guides ya through without a problem!! And ya can do it free and even efile free! Thanks turbo tax!! Not sure why there are so many negative reviews on this app - I think it comes down to people expecting everything to be free of charge, which is crazy! I have used the TurboTax Deluxe web version for many years. Out of curiosity - I decided to try this app. I was skeptical due to the bad reviews, however the app was really user friendly and pretty much matched the web version. The fees were similar (and expected) and the upselling of additional products was no more than what is normally offered (~3-4x). 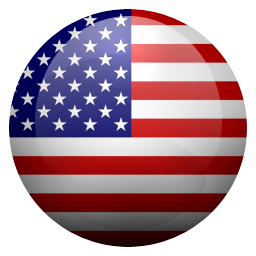 Bottom line - if you are familiar with turbo tax, there are no surprises and you will be happy with this app. The user interface is very well done and intuitive. I was able to easily do my taxes from my phone! I can’t think of anything negative to say about it. The poor reviews just don’t match my experience. I want to submit a suggestion to the product developers of Turbotax. Please allow a way to merge profiles. I am shocked that I was somehow able to create a separate profile for the same email. I suppose I accidentally created a separate profile for my 2018 tax return. There is also no way for me to update my main profile with my tax return for this year or to easily switch between profiles. I’m extremely frustrated as now my two returns I have filed (2018 and 2017) are not linked together. Makes it difficult for me to have an integrated experience and use your other software (like mint). I think of this as a customer service issue. If someone is as distressed as I am you should be able to merge my profiles. This seems like a basic service especially considering that the other profile I created was by accident. Or there should be a way for me to delete a profile. I called and the answer they gave me was no we can’t help you. If there is some legitimate reason why your platform has this bug I would really like to know. The user Tipadee must have not paid any attention while filing. 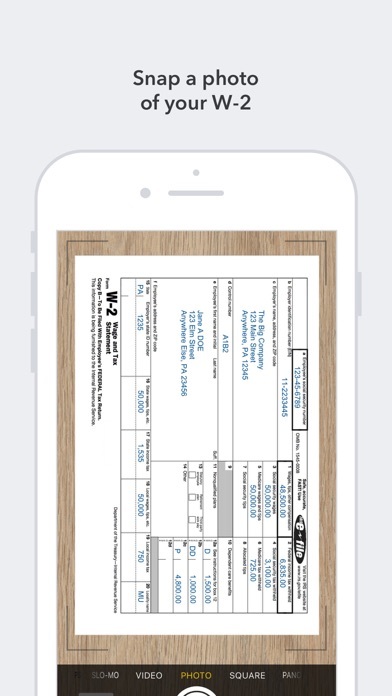 This mobile app is really simple to use and if you have simple forms to input, like W2s, you don’t need any help. It was completely free to file both my federal and state taxes and to set up direct deposit. It prompted me to upgrade often, but it seemed to be clear that you would be paying money at that point if you do and still allowed the free option. You can’t get 24/7 chat help or import stuff with the free option, but again, if you only have w2s to file this is not a problem. I’ve been using TurboTax for years and have not once had a problem, just make sure you have all the info correct and pay attention to the upgrade prompts so you don’t accidentally agree to them if you want to file for free. Turbo Tax does not transparently disclose the fact that when you select to deduct their fee from your refund in lieu of paying with a credit card your refund will be handled by a 3rd party (in my case Santa Barbara Tax Products Group). I received an unsolicited email from this 3rd party requiring personal information (social security number, and tax refund amount to log in, and images of my driver license) with a threat of withholding my refund if I didn’t comply within 5 days. 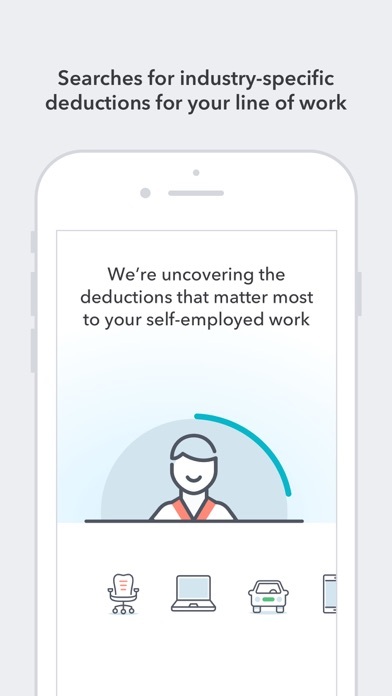 I’m sure Turbo Tax is required to disclose this and does so buried in a web link to some fine print legal document, but they do not disclose this in a transparent upfront way that I would expect from a company like Intuit or a product like Turbo Tax. When I contacted the Turbo Tax help line and expressed my desire to pay with a credit card and not involve a third party they were unwilling or unable to intervene and advised me to deal with Santa Barbara on my own. This lack of upfront transparency is shocking when dealing with financial matters and as such i will seek other tax preparation services in the future. First, I was disappointed in not being able to find Turbo Tax at my local Walmart and also at Sam’s. Walmart said they stopped carrying the program and I was unable to find it in early February at Sam’s. So I was forced to spend a lot more using the online purchase. At the end of March I saw it available at Sam’s. Second, I didn’t find the program to be as user friendly as in my many previous years. I was told the standard deduction was best for us and then was not informed if my charitable deductions would be used. At other points in the process I felt as I was moving along in the dark...not like previous years. Third, other years I purchased the state form along with the federal when buying the disk. No disk available this year so I was forced to pay extra for the state if I wanted to efile. Before purchasing next year, after many years with Turbo Tax, I’m quite sure I will explore other sources unless I’m told there has been a noticeable improvement for 2019. This is a review of the service not all about the app. The app is fine, for the most part. Turbo Tax was easier than H&R Block I tried with them first it kept crashing (the web app) and giving an error message, I had to delete my account and re-sign up to downgrade (clicked the wrong option and no easy way to go back!) the help links don’t work to downgrade but they worked 🙌 perfect for upgrading! TurboTax was easy, and Faster didn’t ask a bunch of stupid questions only what is necessary, it looked as from a developers stand point that they put much more effort into a modern application with TurboTax they don’t Spam you with upgrading, AND they seem to have more features! 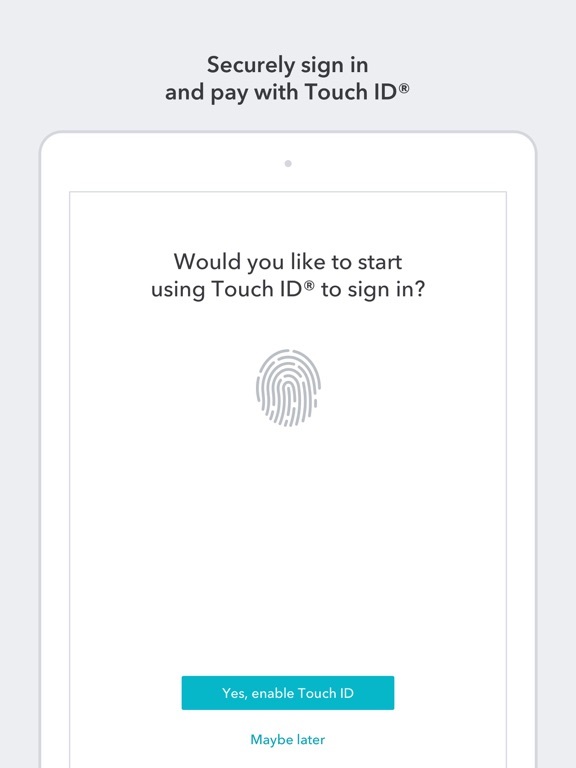 The mobile app is nice also but isn’t much more than added bio-metric support (Touch ID). They should have better design for the app but that’s only as a developer opinion it works fine just its one of those things lol. Overall it’s a good choice, and reliable. Recommend for anyone starting out if you have a complicated situation E-Filing isn’t designed for you unless you want to spend an abundance of money, most places don’t charge to do your taxes up front and only take a small fee if any if you go in person. For me E-Filing is economical. 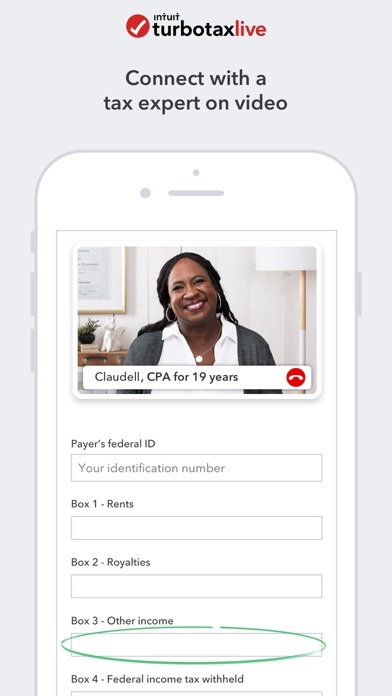 I’ve been doing my taxes through TurboTax for several years, and I was eager to use the app to input data from the various forms as they arrived. But I think I’m going to try another service this year. The price is what it is, although it looks like the only reason I’m having to use a paid tier is because of my student loan interest form. That’s not the big issue for me. What’s been particularly upsetting have been the constant interruptions to upsell me on MAX benefits. I’ve dismissed that ad dozens of times already, and it seems to reappear every 2nd or 3rd page I swipe through. One would think that seeing a customer respond ‘no’ to an ad that many times might establish a pattern and lead to the ad being fully dismissed until the final review section. I understand that they just want more of my money, but I’d prefer to spend that money on supplies for my classroom. I’m probably going to end my usage of the Mint product as well and use a different budgeting app. This app is a basic replication of the mobile web interface, but offers little else that’s unique. 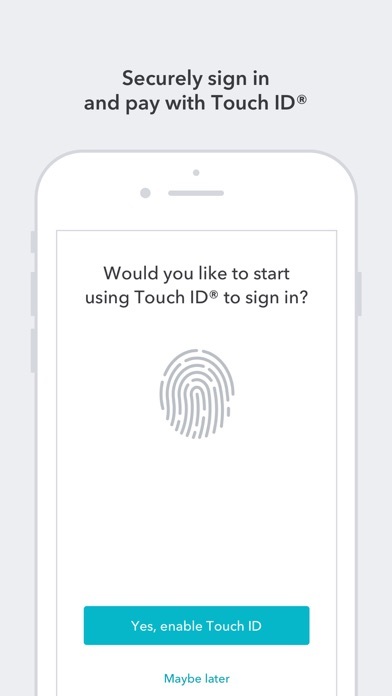 Touch ID integration is nice, but that’s table stakes. 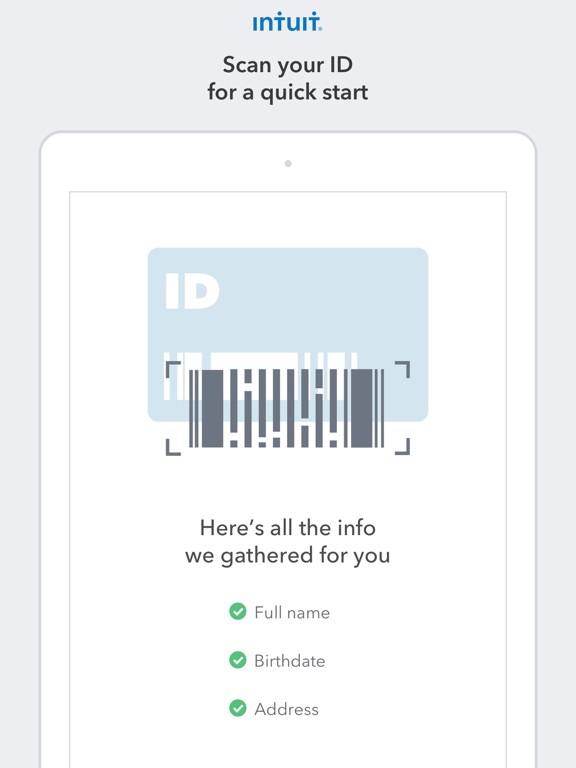 (And my login is 1 tap and a Touch ID scan away when in Safari, so it’s not that much more convenient) Even though I’m basically ready to file my taxes, I think I will be trying another service this year. There is a clear decline in respect for the customer by this company. I have submitted my taxes four times in the past two days and I keep getting an email that my date of birth is wrong. The app directs me to a website where I had seen I made a mistake and then fixed my date of birth. However the next two times I’ve submitted my e-file it’s been rejected because my date of birth is still apparently wrong. I can’t go back and look at the many pages I had to review and double check where my date of birth was placed. There IS a link in one page during a brief pointless revision but it fails to connect EVERY time saying there is an error. I have just submitted my forms again for the fifth time and if I get rejected again I’m just gonna go back to the agency that I went to last year because they know what they’re doing and how to do it right. I know what all I have to look for but this app isn’t helping me at all, it’s just wasting my time. Well, I was rejected again not long after I posted this review. I will never use this app or any affiliates again. The one and only benefit of using this app is that you’re doing it on your phone, so you don’t have to go out to an office. And, to be honest, you may as well go to an outside service. It isn’t free. They tell you it’s free. They give you an option to choose the free service. Then, when you’re at the last step of filing, the app tells you that you have to purchase a $60 upgrade. This upgrade gives you prompt access to your previous years tax returns and I’m really not sure what else. So, now with this “deluxe” service you’re forced to purchase, you have to pay for the previously free federal and state filings. How does that even make sense? I pay for an upgrade so that I can be charged for something you offered for free? And this isn’t the only package/upgrade it tries to sell you. I’ll never be using this service again and I’ll be telling people to skip it. At least when you go to a tax preparer your fees aren’t masked as specials. You guys didn’t guide me in the right direction whatsoever. My entire tax return got screwed up because it was so UNCLEAR what they actually needed. The Obamacare/medical insurance thing is such a crap show, it ruined my taxes completely and I had to amend with a different company. I’m extremely unhappy that TurboTax is going to automatically be taking $30 out my account next month because my federal never came in due to their crap service. I have no money to begin with. I’m on maternity leave without pay and you’re literally about to take half of what’s in my account for your mistake. I have an infant. I needed that return. You, As a company need to understand that there’s people that rely on their tax returns. Nobody has time for errors like this because you failed to disclose. I’m so disappointed. I’ve been using TurboTax for the last few years. Last year it failed me and this year it was a big FAIL again. Never again. There’s a reason why we lay good money for good taxes. Goodbye TT. Stupid, unhelpful and all around a waste of time. I was excited at the idea of saving money this year instead of paying for a tax service. Instead I find myself having wasted most of an afternoon attempting to file my taxes for the first time this way. It’s supposedly supposed to be easy, pain free and FREE FREE as the commercials boast about. I cleared and restarted THREE times. I’ve had the same job for a couple of years now. I’ve always gotten money back for a refund. But this year thanks to TurboTax, despite having the same job and literally NOTHING changing, the app and its “100% accuracy” kindly informed me that for the first time ever, I OWED money to the government. $243 to be precise. The first time before I cleared was nearly $1,000 if you can believe that. But get this! Thanks to the accuracy and helpfulness of TurboTax, I’m STILL getting a refund. Can you guess how much? A whole whopping $16 refund! That’s almost enough to buy dinner. I will not be recommending this to anyone. If it ain’t broke, don’t fix it and TurboTax is CLEARLY broken. I’m proud to say that if I could give this app a rating of zero, I would. A lot of people looking forward to getting there refunds to help with expenses. And at first YOU expect ME to pay nearly a months worth of pay TO the government? THEN you insult me by telling me my refund is only $16? When in the past it’s been considerably more than that with NO money owed. Ridiculous. On Tv and Adds its a 4-5 Star add but it’s not!!! I got scammed after doing the work online and this has happen to other people too if you do the research, I filled threw turbo tax, took 20min, everything went good and seemed accurate, now for my returns I was suppose to get 1200 back, then I couldn’t figure out why it wasn’t going threw and not giving me information if it did so I let it be, then later I got a random email from “1800 tax team pro” thinking it’s from turbo tax and it wasn’t then got tricked from using another party that end up charging me 350$ to get my taxes. Because of lying Turbo Tax somehow 1800 tax team pros got my information from them then lured me into a wrong tax preparer which I rather go to a local preparer where I live that will charge me 80$ rather than 350$. Thank you Turbo tax for lying about being simple and cause of it I can’t get my full refund this year and now some random dude that lives 10 states away from me has most of my information. I am a long term user of Turbo Tax and have been generally satisfied using either the cd-rom version or the online version. The latter is significantly more expensive than the former for the same basic tax form preparation, but it has prepared the form accurately. For 2017, I entered all data into the appropriate fields, checked the commas and decimal points, and completed the review. All through the process the tax bill was over a mIllion dollars (!) which I thought might be corrected after completing the final review. It was not corrected. A phone call to TurboTax failed to produce a corrective action or steps and I was told I would have to pay an additional fee to speak to a tax specialist. The person I spoke to could not explain to me how to clear all the fields so that I could start over, hoping that would get me to a completed, accurate return. TurboTax has failed to produce a user friendly, accurate tax preparation process. Very disappointing. I will not be back. I have an exceedingly simple return involving 1 person, 1 job, and one standard deduction of 12 grand that it very definitely did not apply. It's simple math. I won't trust a tax service that can't get that part right. But more telling is the response to the staggeringly varied types of customer complaints written in review of the app - and how those complaints are addressed - and not addressed by the developer. 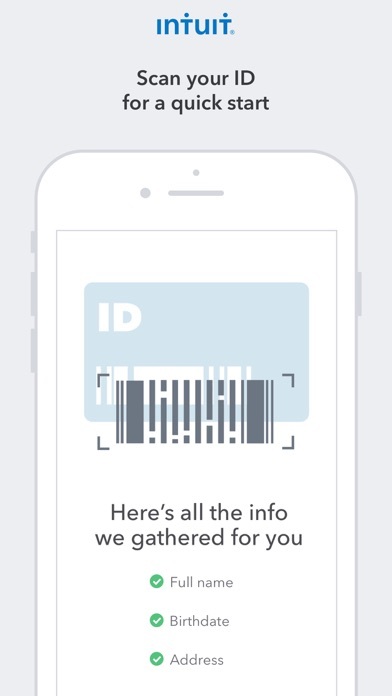 For example multiple people complained about being very obviously tricked or manipulated into paying for things they didn't need and hidden charges, but the developer always responds to these very valid complaints about shady business practices saying that the person should go to the Facebook page or get apple wallet. It reminds me of trump! Deflect! What about Hillary! I am confused as to how they do the ratings since so many people are giving this one star, yet it rates at 4. Must be the old version. Believe the many many negative reviews. I have used TurboTax for 7 years now. I will now NEVER use it again. I have never experienced Any problems until 2 years ago. Granted last year’s issue was a problem with the state, but TurboTax was unable to get around it and because of this, wanted me to pay $1,500 instead of refunding me a couple of hundred dollars. This year, I have moved to a different state. I worked in Rhode Island and Massachusetts and have just moved to California now. I completed all of my tax forms and tax breaks and everything. I always looked forward to using their “Free” service, but I was unable to do so this year because EVERY corner that I stumbled around was “UPGRADE TO DELUXE NOW” Of course I ignored every advertisement. But once I was about to File, I was prompted one last time and was told that I was Unable To Continue without upgrading to Deluxe due to an issue with my address. So I went through the whole Process of clearing all of my information and re-inputting Everything Manually to insure all of my information was correct. 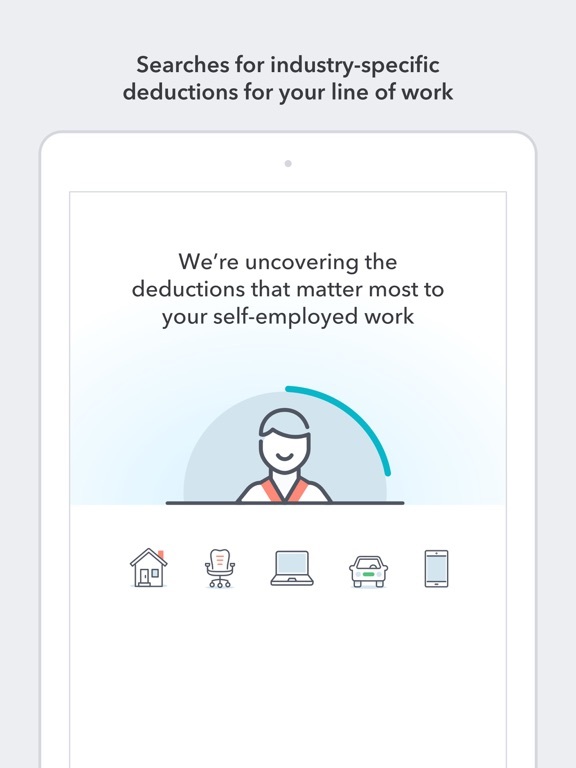 I get back to that page of TurboTax (on the app AND the website) and it gave me A COMPLETELY DIFFERENT REASON as to why I was unable to continue without upgrading to Deluxe. 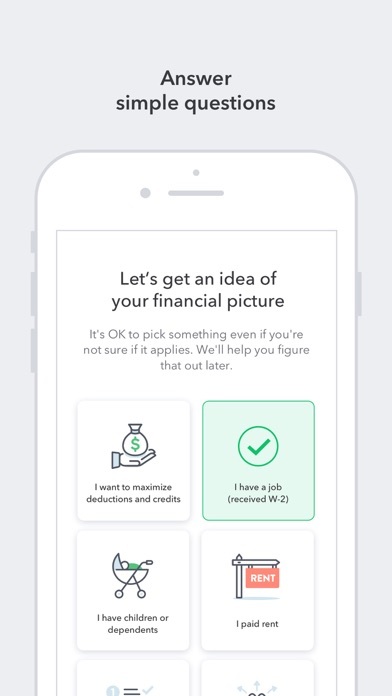 I quickly signed out, deleted the app, and came here to warn people not to use TurboTax because the whole thing is just designed to steal your money. I’ve used Turbo Tax for years. I was thrilled to try the app since my laptop has seen better days. It was easy and quick. The fees were the same as they’ve always been from what I can remember. I mean my tax situation is pretty simple. I have to use deluxe due to some 401k deductions but I feel like if I actually went to someone to get them done it would be way more expensive. I love that I can use my Apple Pay, it’s super convenient for me. I had my files emailed to me so I can just save them to my computer later. I also love how they keep all of your files from past years. I would totally recommend this to anyone who has a fairly simple tax situation. App makes it out like everything will be cheap. Then ends up be $40 hear another $40 there because you have this form to file. That was sort of expected and they were up front about. I am really disappointed that I have been using this for years now and either haven’t realized or didn’t use this feature but this year I decided to pay for turbo tax out of my refund. This is a mistake! DO NOT DO THIS. It will cost you another $30-$40. So I expected $80 already not happy about that when just a few years ago it only cost about $30 to file. But now I’m charged an extra $40! just because I paid out of my refund and they do almost nothing to warn you of this I say almost because I assume it is in some fine print somewhere that no one reads. Guess we know who we can’t trust. Might have to give H&R Block a chance next year. 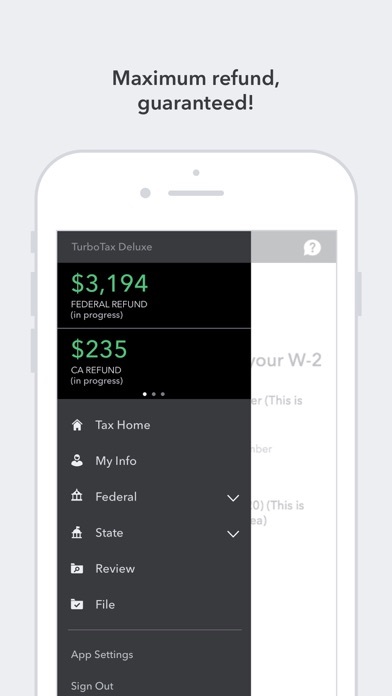 I have been using TurboTax from the website for years, and the app makes it even better. 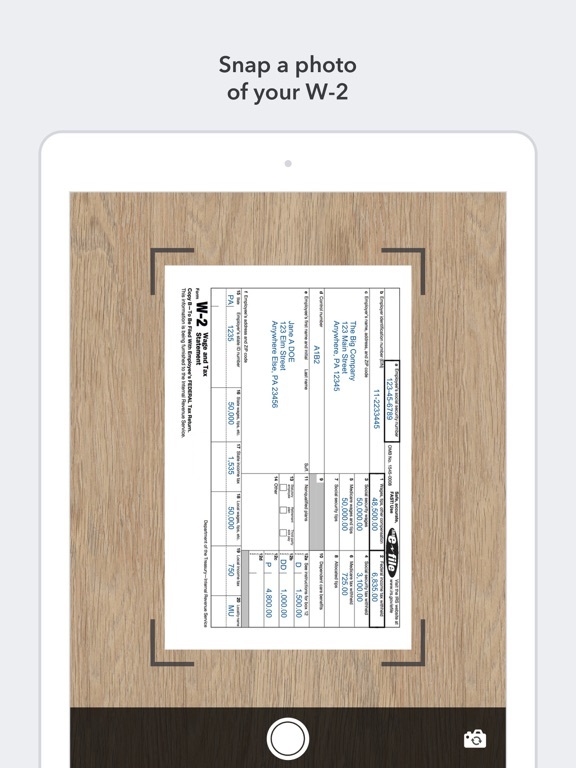 As soon as I start getting my tax documents I update the information and can pick up where I left off wether on my Mac, iPad or iPhone. I usually just input the numbers from the boxes on my forms but I have used the camera to take a snap and it did it for me. What made me a loyal customer is that it breaks down every box for me that I may be unsure of, especially once I started having to itemize. Without leaving the page and having to do research, it explains my non-taxable pay from combat/hazardous zones and helps guide me. Definitely makes things easier for me. So I was planning to use turbo tax to file my tax again for the 4th year. I don’t mind paying for the service because I do end up getting more money back. Some how this time around I try out the apps on the phone and everything seem to work like how I expected but when it comes to getting a live help, it takes about 10 mins to wait to get someone to help and than when it’s time for me to accepted it they say something wrong. I did this 3 times now and it’s all the same. So I decided to get a call back and of course 15 mins later they call me but again it disconnected me when I hit the number 4 like they said if I still need help. So now I’m thinking I need to go find me a different tax services and file with them since this is not going like they advertise. I’m willing to pay for the service but I’m not getting the full benefit like they say they have. Turbo Tax . You app has entirely to many faults . People enter SENSITIVE person information on your have for their tax Returns which is a big deal . For your app to crash and constantly not let me in , or have me photographing the same w2 wondering why its not reading and just asking me for EIN all over again , or going back and forth between the “take me to my return “ screen and the “upgrade now “ screen . Is COMPLETELY unacceptable . We put out social security numbers in this app . If simple fixes are accuring with your apps after years being in business , how can i trust you with my personal information . Your app should be a full-proof iron system with minimal errors . I got to submit 1 thing and i cant even get back on the app . The screen stays white . GET ON YOUR A GAME TURBO TAXES Or i will not filing with you next year or ever again and i gravely recommend no one use your app . So this is the second year im using this app. So they have all my information from last year. But because I didn’t want to pay $30 to file they made me write all my info out again. Which when I accidentally pressed the plus button. It had all my info in the right spots but because I didn’t want that it erased it all so I could write it again. That made no sense. In addition. They camera part they advertise on tv is aweful. I use Wells Fargo app to deposit checks so I know how to do it but I could not get this garbage app to realize a 4 is not a 9. Commas Becca me periods. 1,000 became 1.00. It’s not useless but they advertise it as a selling point and it’s barely helpful. Then once I finished all that I went to e-file. Said my number had to be 2 alpha or above. Apparently “3” is an unacceptable number for efile. Never could find out why that’s an issue. First time filing- Loved it! I’m 18 and this is my first year filing for taxes. I was so nervous and confused because I didn’t know if I even made enough to file but I figured I might as well do it just in case. I got a 100% refund on my income tax and it was direct deposited exactly 21 days later. It was so easy to file, I did it laying in bed and it took less than an hour and I didn’t pay a single penny. If I could be a spokesman for turbo tax, I would. I’ve never gone out of my way to leave a review for any app but I had to for this one. I love this service and will definitely be using it again and telling all my first time filing friends about it too! I’ve filed my taxes with them before and it was fine because my company paid taxes on my tips for me but, if you’re a tipped worker and have allocated tips make sure to check the box that says you made unreported tips but that it was less than $20 a month if your company does in fact assume you made allocated tips and you do not have a log of your tips for the year. Otherwise, this will try to force you to upgrade to the deluxe version. I couldn’t find this in any of their unhelpful FQAs but I eventually figured it out on my own because you cant call or talk to a real person unless you pay for an upgrade or wait forever for them to reply to an email. Very time consuming. 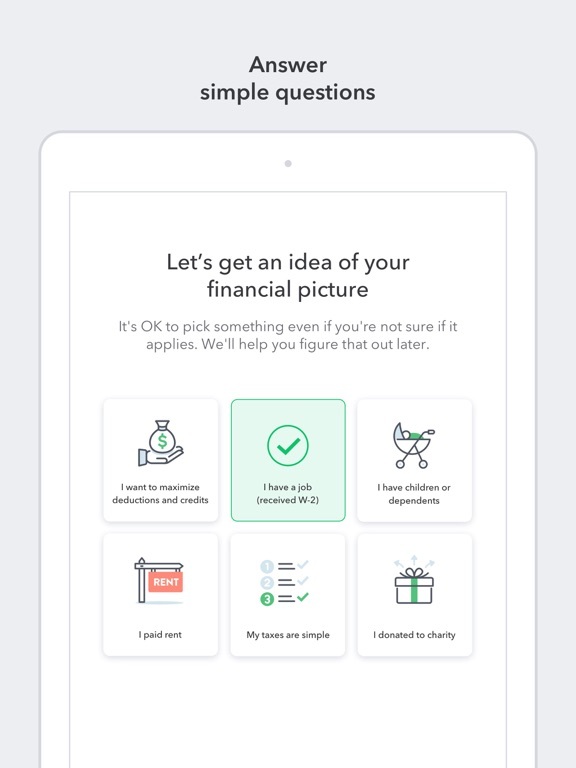 This app is easy to use, it walks you through everything as if you were at a tax preparers desk. That said though, they also do not tell you it’s gonna cost more than $40 until you finish the whole packet, which I find deceptive. Honestly as a company you should just be upfront about any and all costs. I wouldn’t have left even though it cost over 300X the price you advertised your services. I don’t like feeling deceived and as a company taking advantage of how long and hard the tax prep work is doesn’t leave me a happy customer. My old local branch tried to charge me 3 times your $200 though so my only advice is stop playing your customers, just be upfront about costs. I am a first time customer of TurboTax. And in all honesty, this will be my last time using TurboTax. I signed up for the $20 manual set-up fee. But TurboTax never once mentioned the additional $40 I would have to pay to a 3rd party. Now every time I call. Whether it’s TurboTax, the IRS, Federal, or California tax return customer service number. I’m hit with an additional $66 fee, for God knows what. All I’m saying is, I’m not rich. I didn’t even make a big enough tax return salary to begin with. To be dealing with all this nonsense. I received my Federal, but not my California return. I’ve been given number after number to call, and I’m sick of it. I would rather have been told up front, about all the fees that I’m required to pay. Rather than find out about the substantial amount of money being taken out of my return by some money hungry individual. 2018 was the first year I was required to file taxes. So, let me inform you feeling anxious, scared, and/or hesitant are all normal feelings. And yes I was all of those & more but hey I’m rating a 5+ star to assure you guys everything is going to be just fine. Just like you all I heard & saw a lot, both negative and positive pertaining to TurboTax. I overlooked them all & decided to give it a shot b/c not everything is going to float everyone’s boat... So moving along with the assistance of my mom I successfully read and understood my W-2’s to navigated my way through the steps of TurboTax to file easily. Then boom 💥 less than 24 hours after submitting everything started looking great. 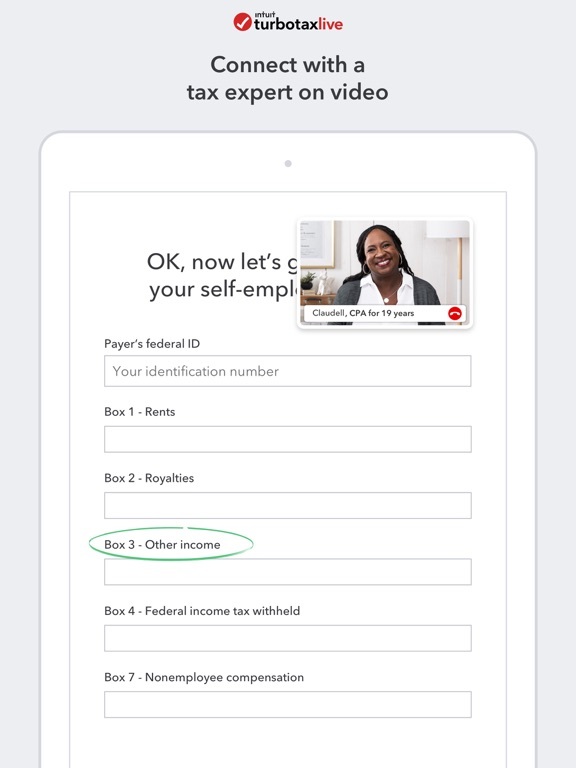 TurboTax made it simple, easy, fast, & did I mention free? Yes, absolutely free to file without the high costs & horrible customer service @ up front locations. I highly recommend this app or the website to anyone & everyone. It’s truly a life saver. Thanks you TurboTax 🙏🏽. Sorry to those who had not so pleasing experiences. I did my taxes with this app this year, and I had some issues with some numbers. Submitted and realized I had made a mistake. Now I’m waiting for the State and federal to reject the taxes so that I can make the necessary amendments. Most of these problems were my fault and I won that, but the experience was about the same as last year. I strongly suggest that there be some backend help so that it’s not just “left in a database” to be rejected by the state and federal government. What could have been an easy experience turned out to not be so. Looking forward to getting this resolved in the next week. With something this important as your taxes, highly recommend that you don’t leave it to this app to do. Hi. I am a person who doesn’t write a lot of reviews but one thing I have noticed is that you don’t get the option to see if you qualify for free file under certain state laws. I live in MN and Minnesota has a free file format where you can use TurboTax online but the TurboTax app doesn’t work with free file when you open your saved free file tax form that you fill out online and save. When you open your free file account in the app you cannot get to access the free file. The app comes up with a screen that says free file is not supported. The Free file I am talking about is the kind that if you make a certain amount you can get your taxes done for free without paying any fee to file. Starting to get greedy like the rest..
Had to pay three fees this year - one to file my state return, one for a mandatory upgrade just because I had one insignificant 1099 form, and another to be able to have the fees deducted from my return instead of having to pay now. I find it very discouraging to have to pay so much in fees just for entering in one 1099 form. Having to pay $40 just for the option for the fees to be taken out of my return instead of having to pay on the spot is also quite ridiculous. That means I’m paying a $40 fee PLUS another $40 fee to pay that fee. The payment costs me as much as the fee? Insane. I’ve been an avid user for years but I’ll be moving my business to someone here in town next year. If I have to pay that much anyway, I might as well have a professional do it for me. Each year it tells me to skip the state tax portion cause I live in New Hampshire and don’t qualify for it. This year it tells me again that I don’t need to but says I need to in order to finish taxes. The app then brings be back to fix state tax, doesn’t provide hardly any info, wants me to estimate a 2018 tax then says info is incorrect and to fix it again. This is a loophole that I have been stuck in since yesterday. No help from TurboTax cause there is no “Live help” as their commercials say. It’s run by automated software that best guesses your problem with a best guess answer. You’ll have better luck finding an answer by throwing a dart at a wall of answers then taking that dart and jabbing your forehead repeatedly. Oh, and don’t believe that TurboTax is free. In the end you’ll be paying around $80 for a typical 1040-EZ form. Don’t put your full trust in a program. 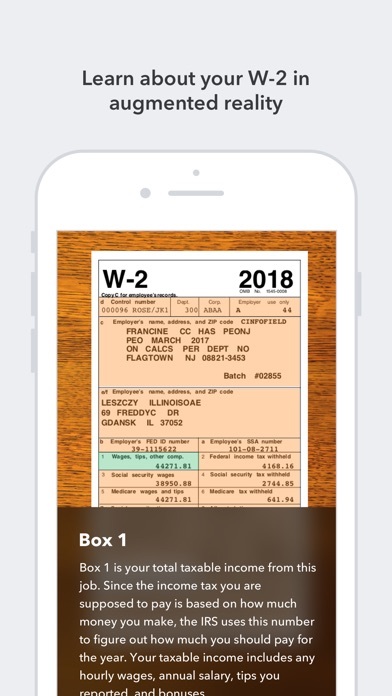 I just got married last year my wife and I did our taxes together and we were misinformed on how we should go about doing so with the app, and charged to use the program we had to file an addendum. Not thinking this was a huge deal it took almost took moving heaven and earth to get any answers. When we talked to a person from TurboTax they literally were reading off the internet things we already found. So we went to someone to help us with addendum and now instead of a return we owe thousands to the government. I cannot think of a time I have felt more cheated. Don’t trust an app over a real person with a degree. And do not get sucked into the marketing from this company, it might work for you fine but in the end it is just a program that will fail. Don’t be fooled! You’ll see their commercials on TV with the slogan ending in “well at least your taxes are free”, but they’re not. I’m a college student and my taxes are simple and I barely make enough to cover rent so of course I’m going to choose them over another company who traditionally charge $40 for full service. Next thing I know Turbo Tax is charging me $40 then another $40 and then $30. Totaling up to $110 for doing my taxes. When I went back to find out how to not pay they wouldn’t allow me to move forward, so I called for two days and couldn’t reach a representative. I started all over and I noticed that I was being charged because they filed for federal and state taxes. So either or but not both? What! Then charging for efiling! Beware the propaganda they’re pushing is what President Trump would say is fake news. When I used this app for the first time, it was BY FAR, the easiest, and most pleasurable experience I’ve had using an app like this. It was simple, friendly, and explained everything to me simply. BUT, when I used it again the following year, I’d forgotten my password and information and ever since, it’s been nothing but a headache. I’ll change my password and it won’t remember it, I’ll put in my phone number, “wrong number”, I’ll give any address it asks, correctly, and it won’t work. This has been going on for almost 4 years straight! With the government shut down and the IRS being in free-fall, I’m dreading getting my refund even more. Please TurboTax, I loved your app... fix your SH**!! !